One of my favorite things to eat are pickles. I love anything with lots of spice and vinegar. But I am not a big fan of canning. I can tomatoes and salsa, but anything else I try to find another way. So, I was pretty pumped to have these quick pickles turn out so well. The best part is that you can make a batch of the brine, and keep using it over and over, just cut more cucumbers and give them a few hours to grab the flavors. Add the vinegar, water, sugar, mustard seeds, salt, garlic and bay leaf to a small saucepan and bring to a simmer. Once the sugar has dissolved remove from heat. 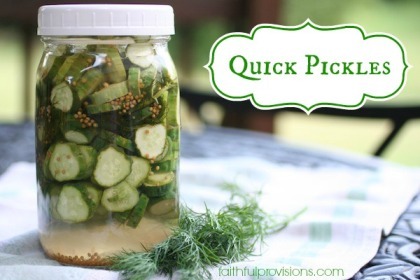 Place cucumbers and dill to a heat-proof glass jar (canning jars work well) and pour over the pickling liquid. Let sit for 15 minutes, or refrigerate to cool. 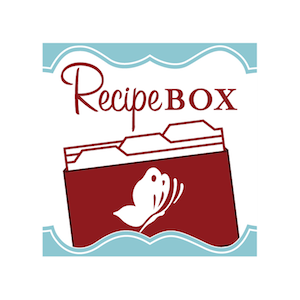 Find more recipes in my Recipe Box. Just reading through the ingredients – are these a sweeter pickle or are they dill?